Sea Country Rangers & Volunteers standing in front of just one of the many truckloads of rubbish and ghost nets collected, ready for disposal at the town waste facility. This project enables the Aboriginal land owners to care for sea country which faces an environmental threat from marine debris washed ashore from the South East Asia fishing industry. This project addresses United Nations MDG #7 to ensure environmental sustainability. Plastic Waste, largely from SE Asia, washes up on the Arnhem Land beaches in Australia's Northern Territory. It represents a danger to marine life and the pristine wilderness in this remote area. Photo: Gus C's photos and blog. The local partner is the Dhimurru Aboriginal Corporation who manage the Arnhem Land coastline and environment through their Sea Country Ranger Program. World Expeditions sent a group of volunteers to help implement this project. The World Expeditions Community Project Travel Trip included a cultural exchange component to improve understanding of Indigenous Yolngu culture and ties to Sea country. "It was by far the very best trip we have done with World Ex to date. We were extremely organised our end, I finally worked out what was going to work and how to keep the rangers motivated. It also helped that there was an exceptional guide (Reece) who really helped to create a great atmosphere for the rangers and volunteers to interact." Vanessa Drysdale, Sea Country Facillitator, Dhimurru Aboriginal Corporation. "Absolutely fantastic… we are thinking of organising another trip next year…"
Yes - The Arnhem Land Marine Rescue Project is an annual expedition. 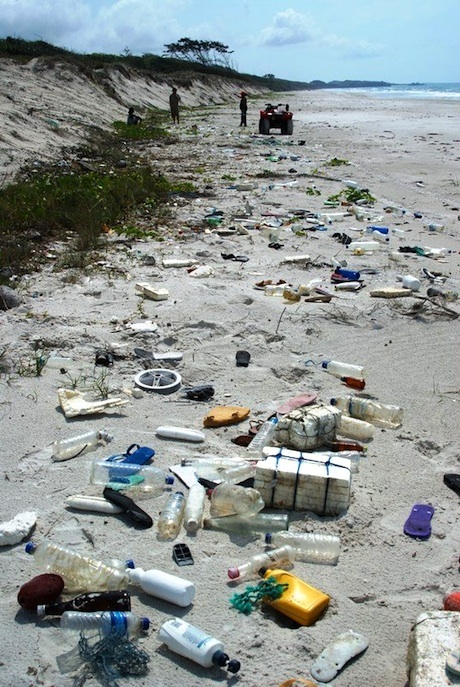 Each year a different stretch of coastline is cleaned. The expedition is planned to run again in Sep 2012. Visit World Expeditions Community Project for more details on volunteering. Under the guidance of the traditional Aboriginal land owners this project will remove and catalogue the debris that is washed up on the Arnhem Land coastline, which is mostly the by-product of South East Asia’s fishing industry. cataloging and recording of the collected nets (position, size, weight) to gather important information about where the nets come from, how many, what type and how much marine life are trapped etc. According to the Carpentaria Ghost Nets Programme, collecting this information about the origins of nets is important for developing approaches to working internationally to stop the ghost nets at their source. The rangers and vehicles are integral elements to the success of this project. Aboriginal rangers carry the knowledge and expertise to find and remove the debris, as well as catalogue the debris correctly. Many kilometers will be travelled over the duration of the project to remove as much debris as possible. Often the nets can be so well buried in the sand that the vehicles are required to tow the nets out. Two departures are scheduled for this project (March and September 2011). One of Australia's most beautiful coastlines, North East Arnhem Land enjoys the custodianship of its traditional owners, the Yolngu Aboriginal people. While it is virtually free from development, this coastline faces an environmental threat from marine debris washed ashore from the South East Asia fishing industry. Coastal Aboriginal people have been connected to the sea country for many thousands of years and it remains an intimate part of everyday existence. Aboriginal concepts of the sea are intimately linked to traditional ownership and management in the same way that places in the land are connected. This system of ownership and management exists amongst the Yolngu Aboriginal people, in that all marine and coastal activities, including conservation and protection, are of direct relevance to these coastal Aboriginal people. This project enables the Aboriginal land owners to fulfill their aspirations to care for sea country through building the skills and knowledge of the extensive network of Indigenous rangers. It is assisting in the establishment of institutional frameworks and opening channels of communication between these communities on a scale that has never been experienced in Australia with a single project. Alongside local Yolngu Aboriginal Rangers of Dhimurru and Laynhapuy Land Management, project participants traverse the coast on foot and by 4WD to collect, catalogue and dispose of marine rubbish, as well as scouting for turtles and other marine wildlife entangled in nets, and freeing the animals where possible. The main aim is to remove the ghost nets from the coastline, thereby reducing the number of them finding their way back into the water. These collected nets will also be recorded in a variety of ways (position, size weight, animal entrapments) so that important information about the nets (where they come from, how many, what type of turtles are trapped) can assist in negotiations with Australia’s northern neighbours to address the problem at its source. The project partner is World Expeditions who provide responsible travel tours in Northern Australia. People can join as participants and work side by side with the community during this project which will allow for meaningful interaction and a richer cultural experience. World Expeditions is one of the world’s original adventure travel companies. They have earned an impeccable reputation through the unique experiences they provide in the field, through an environmental philosophy of minimal impact travel, and for the special quality of giving something back to the communities visited. Footprints partners with World Expeditions' on selected community travel projects to provide funding for materials.